League members: UEFA has 54 member countries from all over Europe; 32 European football clubs compete in the tournament every year. 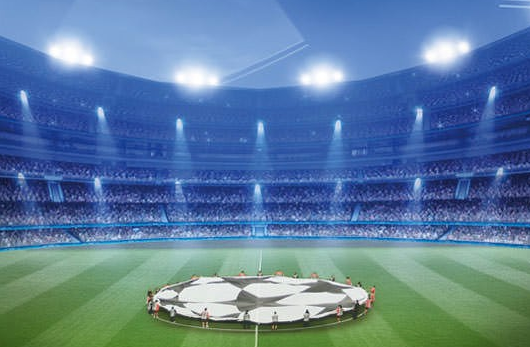 UEFA Champions League, or simply "the Champions League", is an annual competition between the top-division European football clubs, organized by UEFA (Union of European Football Associations). The European Champion Clubs’ Cup was formed in 1955 – also known as the European Cup – becoming the first European tournament and one of the most prestigious tournaments in the world. The league was rebranded to the Champions League in 1992, organised by the Union of European Football Associations (UEFA), hence the common abbreviation “UCL”. Prior to 1992, the league was initially a straight knockout tournament, open only to the champion club of each national championship. However, during the rebrand in the late 1900s, a round-robin group stage was introduced, allowing multiple entrants from certain countries – the strongest leagues provide up to 5 teams. Clubs that finish next-in-line in their national league, having not qualified for the Champions League, are eligible for the second-tier UEFA Europa League competition instead. Scroll up to the top of the page to find the latest Champions League events. Alternatively, type a team into the search bar to find specific match tickets. Choose your desired seating section and select the ticket quantity. Input your delivery address (this can be your home address or a hotel). Create an account with us or log in with an existing account. Read the terms and conditions – if you accept, click “Agree”. Look out for a confirmation email. Receive your tickets – enjoy the game!